NORDSEE. We are fish. We are pescatarians. There are countless different diets now. Everyone knows someone who is a vegetarian or vegan. But what is a “pescatarian”? Vegetarian light? Not entirely. Similar to a vegetarian diet, a pescatarian diet includes fruits, vegetables ... and fish. Pescetarians completely abstain from eating beef, pork, lamb and poultry meat etc. as well as all additives, processing aids, carriers, flavoring agents and enzymes that are produced with or from animals. Eggs, cheese and other dairy products are acceptable. In short: Pescetarian = meatless, but not fishless. If you’re a pescatarian, you’re in the right place with us. In order to serve our “pescatarians,” our standard product range is checked in detail to ensure the absence of animal ingredients and additives. All products in our standard product range are guaranteed to be free of animal ingredients and additives. The pescatarian diet is one of the healthiest diets! According to a current study*, pescatarianism is one of the healthiest diets. Alongside vegetarians, pescatarians have the highest average life expectancy and the best health. But pescaterianism does a little better than vegetarianism because it is better to also have nutrients supplied by fish. You can read more here. Purchasing fish from wild catches or aquaculture harms our environment the least compared to other forms of animal keeping – the only thing more environmentally friendly than fish breeding is insect breeding. The reason for this is the very low environmental-impact factors, which are extremely high in meat from factory farming. How many pescatarians are there? There are currently only estimates of the number of pescatarians. There are no official numbers. But estimates suggest there are around 120 million to 300 million pescatarians. And the trend is growing. 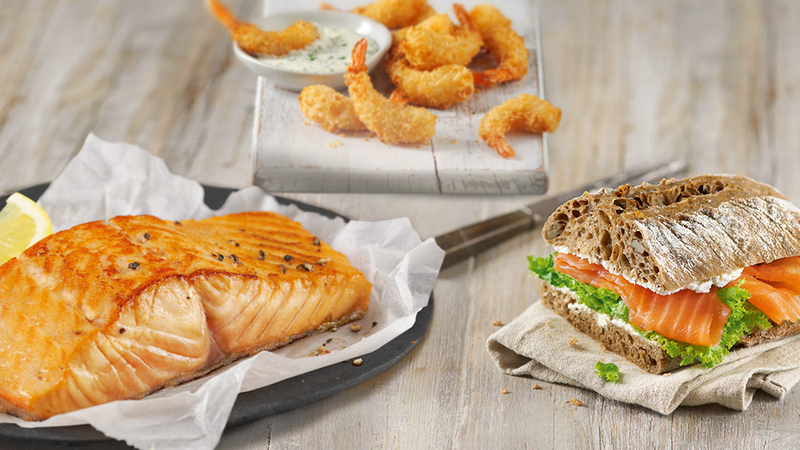 Check out our delicious variety of products and discover your favorite NORDSEE pescatarian product.